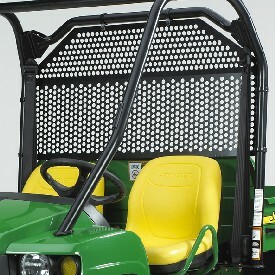 HPX & XUV Gator Utility Vehicle Rear Screen Kit. This kit will come with detailed installation instructions. Note: The cargo box load guard must be reoriented from the standard upright position to the tilted position. 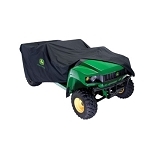 THE OPS (OPERATOR PROTECTION SYSTEM) MUST ALREADY BE INSTALLED ON THE GATOR. THIS ITEM IS THE REAR SCREEN ONLY AND DOES NOT INCLUDE THE OPS ROLLBAR SYSTEM.